Where can I find replacement connectors for top railing, (dog chewed some) off of my above ground pool? I need help please. Hi T Snow. Above ground pool parts can be found in several different ways. You could try looking up your pool manufacturer's web site. Most above ground pool company sites have a locator service to help you find the store nearest you that handles their line of pools. When you find the store that handles your brand of pool they should be able to order parts for you. Another way is to use the phone book and call every pool store listed. Ask if they carry above ground pools, and if so, what brand. A store that sells the kind of pool you are looking for may have parts available or they should at least be able to order them for you. They should also have a catalog where you can see pictures of the parts to help you match up the part you need. If a store has been dealing with the same brand for years they may have many boxes of parts in a back room that you could look through. Buying a used pool, at a good price, is often cheaper than buying replacement parts for your existing pool. A good used pool might come with a better filter, ladder and possibly a deck. It is quite amazing how cheap people will sell something when they decide they no longer want it. I have acquired very nice pools for nothing more than the labor of removing it from their yard. I saw an ad on Craigs list just the other day, someone wanted a pool in exchange for removing it and putting the yard back together. Some parts can be adapted to work on pools other than the brand they were made for. 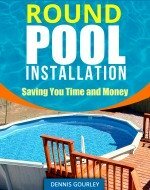 This page, Asahi Above Ground Pools, has a link to a pool parts store that might have something you could use. Join in and write your own page! It's easy to do. How? Simply click here to return to Above Ground Pool Parts. Just bought a used pool and about 4 of the base plates are rusted and falling apart. All I have is a stamped number from the base plate. How do I find out who the manufacture and get replacement parts. Hi John. A stamped number on the plate reminds me of an Asahi pool. Foot plates need to hold the bottom rails in place and they need to hold the uprights. The uprights usually screw into plates built into the plates. The rails usually go into an opening designed just for that particular size bottom rail. With some ingenuity there are a lot of footplates out there that can be converted to work on your pool. The rails can be held in place with small screws. Brackets can be added to hold the uprights. Pictures of parts also help a lot. When ever a brand is not know I can usually identify it with a few photos. I am looking for the base rail stabilizers for the bottom base of my pool. Anyone know where to find them? Desperate to fix pool so any info will be appreciated. I have an Omni pool built in 2003, I'am looking for the 16 joint/rail caps. I'm looking for top rails for an Eldorado pool, made by the Delair group. It is part of the Patriot series. I was told that the Delair group is now out of business. I need 12 top rails and 12 caps. Any suggestions?? Thank you for any and all help. Look forward to hearing from you soon. Thank you!! Please feel free to call us too.